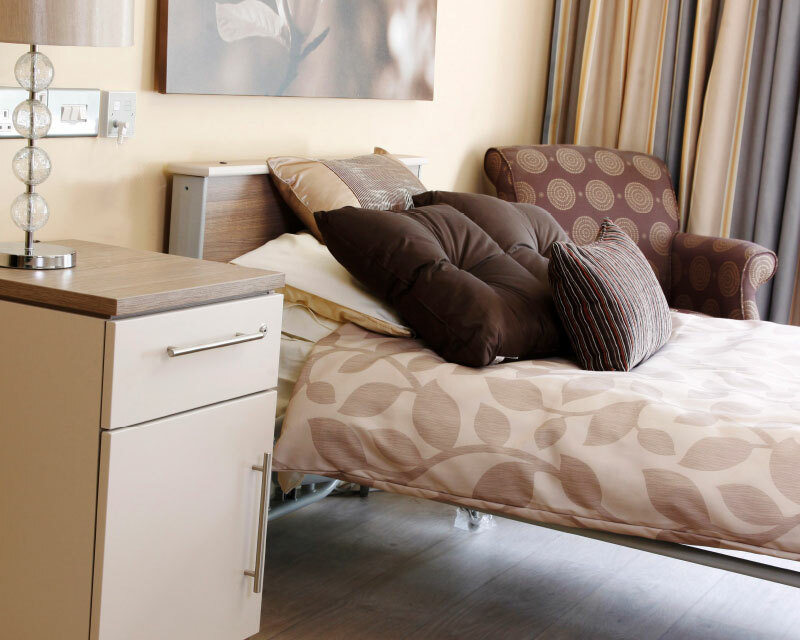 Hughes Furniture is highly experienced in manufacturing furniture for Care & Nursing Homes throughout the UK and Ireland. 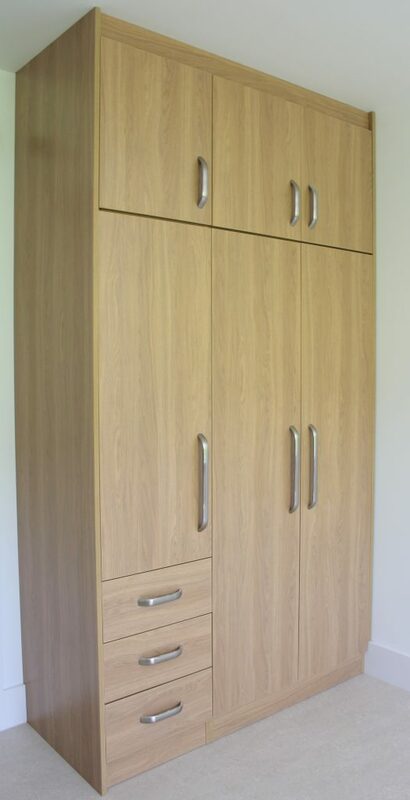 The product range we offer includes a standard collection of pieces, which includes everything from wardrobes and lockers to memory boxes, lounge chairs and dining furniture. 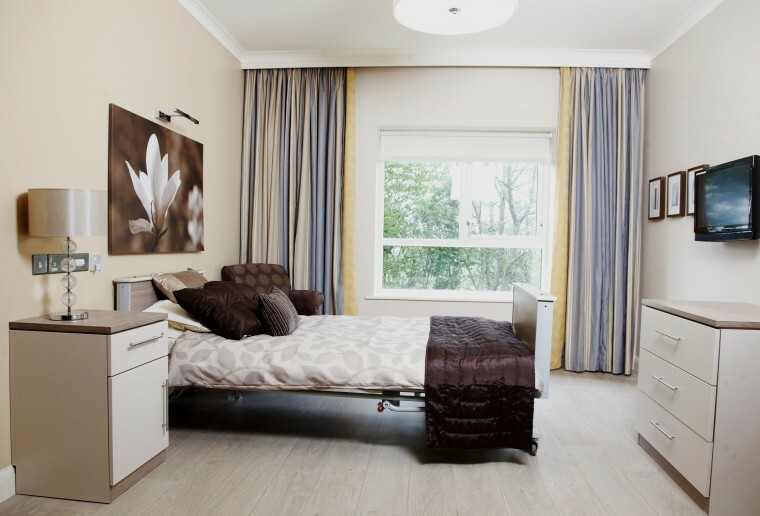 We recognise however, that every Care Home has different needs and we therefore offer the ability to order bespoke bedroom furniture, dependant mainly on the quantities required. As a family-run business, our team are vastly experienced and our Project Manager works closely with architects, designer and home owners in delivering a quality, design-led product, on time and to our customers satisfaction on all occasions. 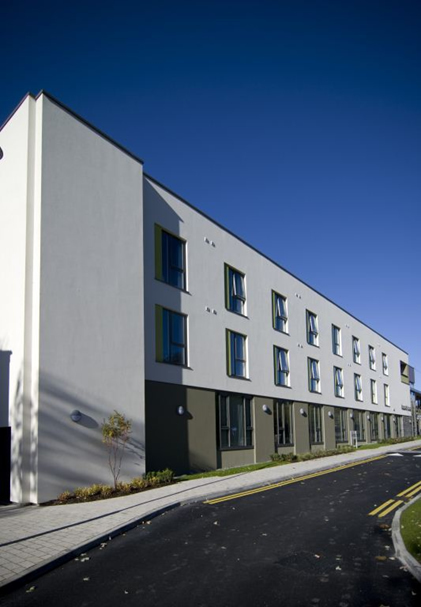 This was a new 128-bed extension to the existing care home which was opened for elderly care in the 1930’s. This new modern building was furnished by Hughes Furniture with the emphasis on comfort and functionality and with a design which worked with the furnishings in the original part of the home. Hughes Furniture along with Nazareth Care Management, House Manager, Director of Nursing and the Architect worked together to plan a well thought out, outstanding design. 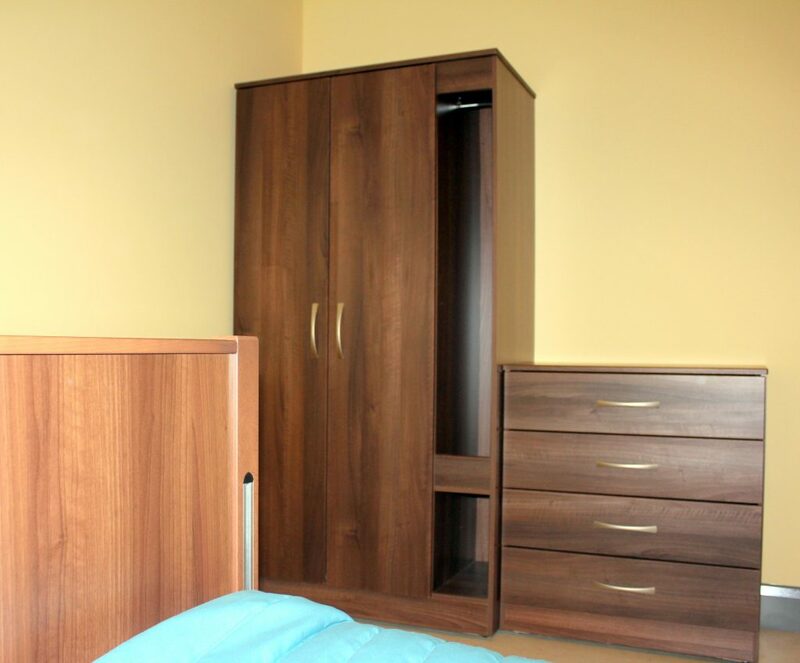 The 3-door wardrobes were fitted floor to ceiling by our own team with the emphasis on a quality, easily accessible product built to BS 14749, which matched the desk, locker and profiling bed. 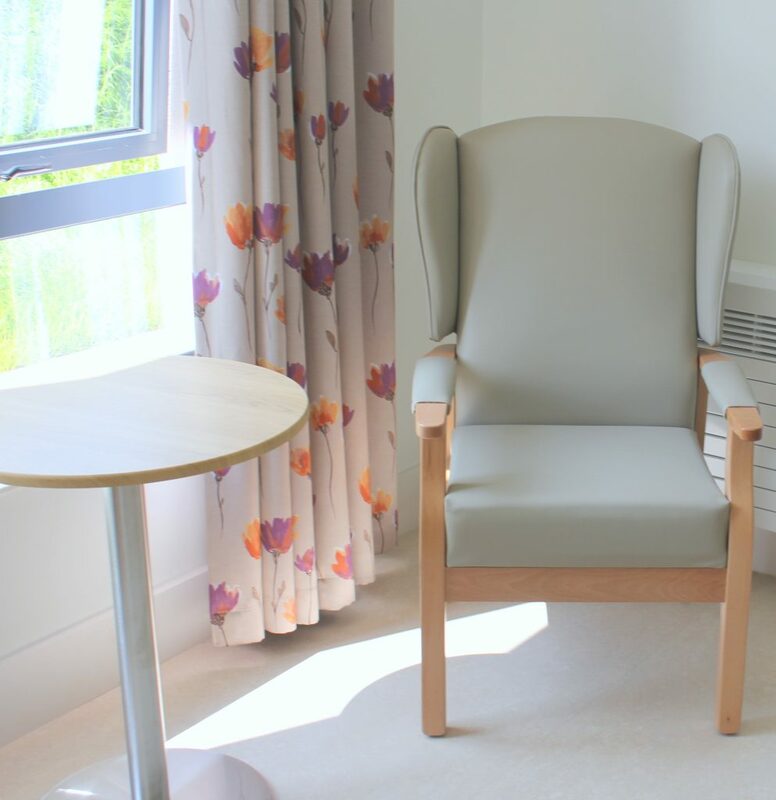 A bedroom chair and writing chair were supplied in natural beech colour with the vinyl cover to Crib 5 contract standard. The dining and occasional tables in this home were supplied with a centre pedestal base for “ease of access”, with the tops having a wipe-clean heat resistant surface. 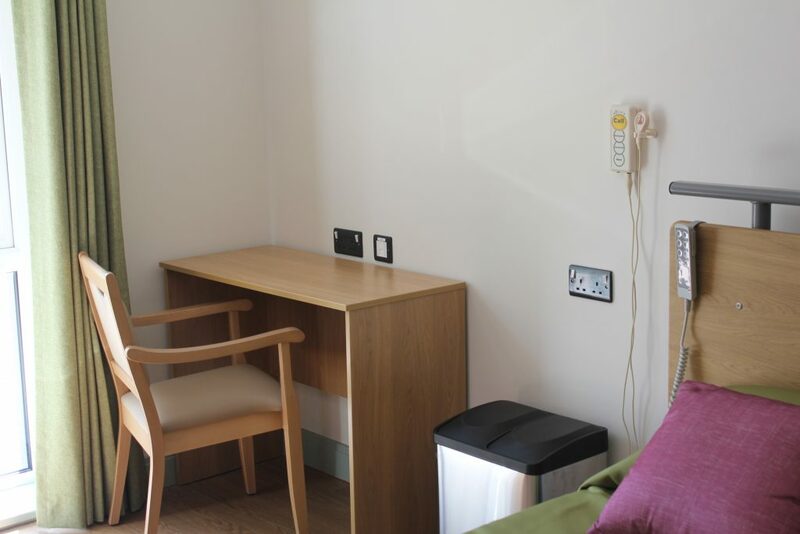 Quiet rooms, breakout areas and treatment rooms were furnished with comfortable sofas and chairs with matching coffee tables. 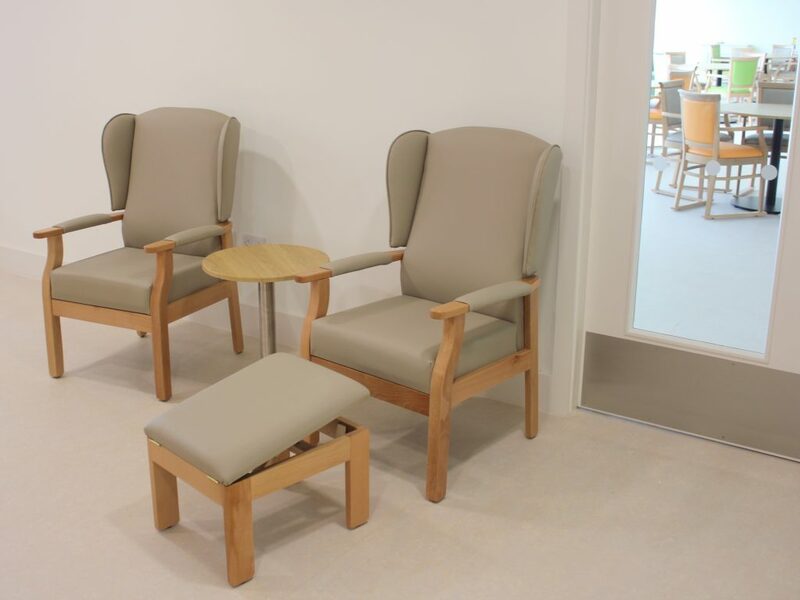 Hughes Furniture also supplied dining chairs with arms and skids as well as swivel chairs for the nurses’ stations. 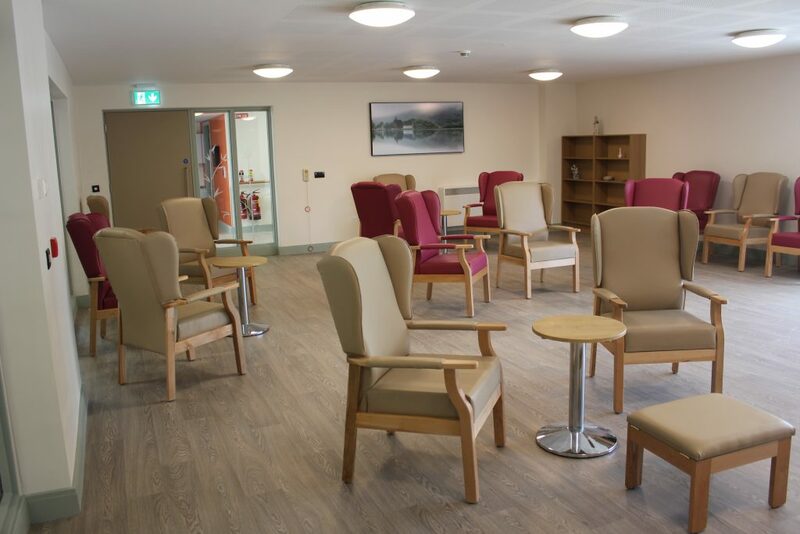 With good co-ordination between our project management team and input from the Care Home management team we were able to work together to create a wonderful new home which has been a great result for Hughes Furniture and a privilege to be connected with. 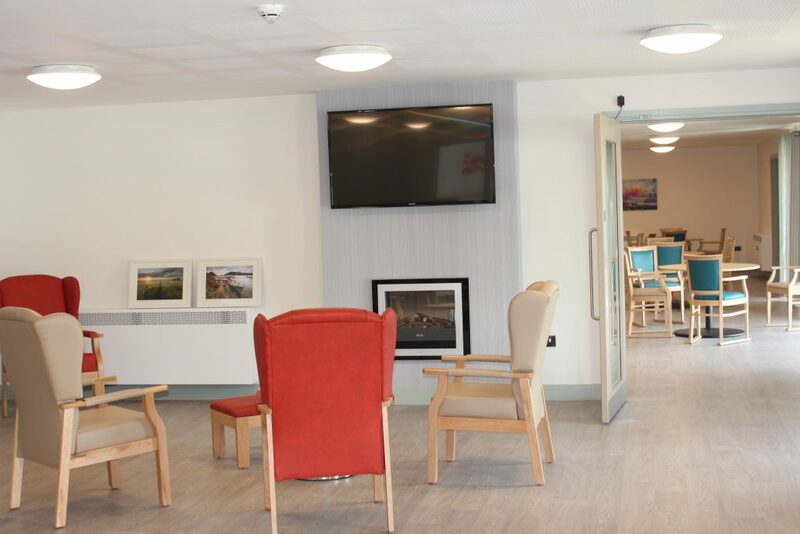 This was a new 90-bed extension to the existing care home which was built in 1970 with the emphasis on comfort and functionality and with a design which worked with the furnishings in the original part of the home. Hughes Furniture, Nazareth Care Management, House Manager, Director of Nursing and the Architect to plan a well thought out, outstanding design. The dining and occasional tables in this home were supplied with a centre pedestal base for “ease of access”, with the tops having a wipe-clean heat resistant surface. 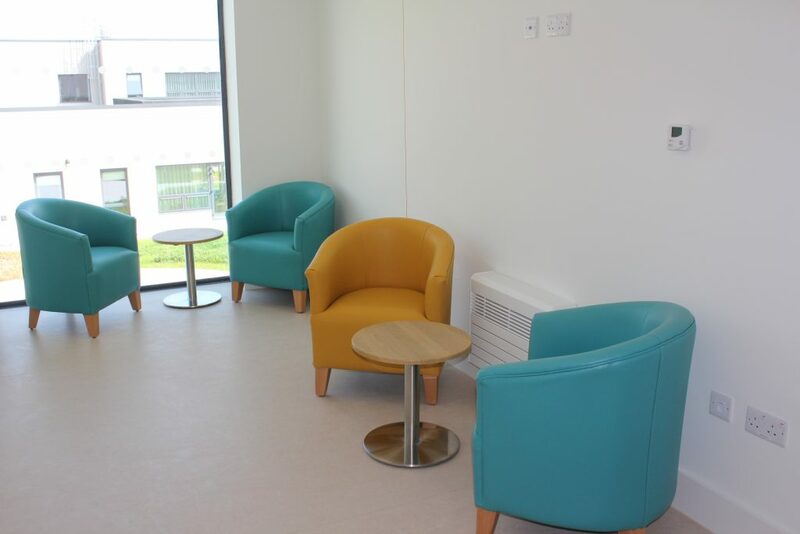 Quiet rooms, breakout areas and treatment rooms were furnished with comfortable sofas and chairs with matching coffee tables. 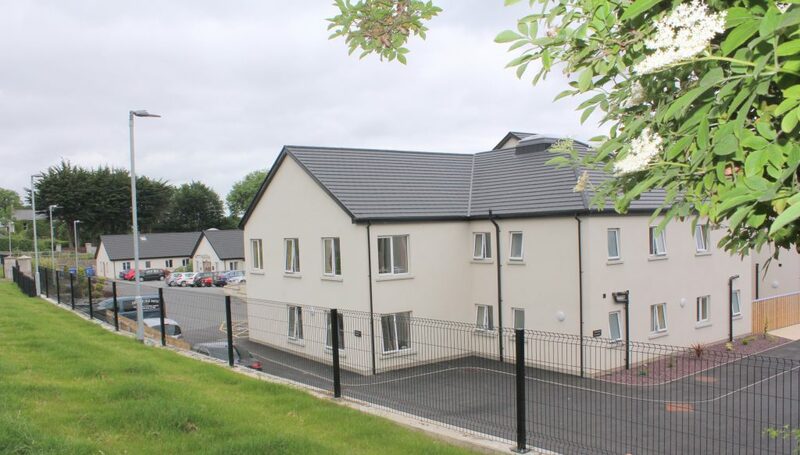 This was a 45-bedroom refurbishment to an existing care home in January 2016 and a 35-bedroom extension to the same home, finished in June 2017. 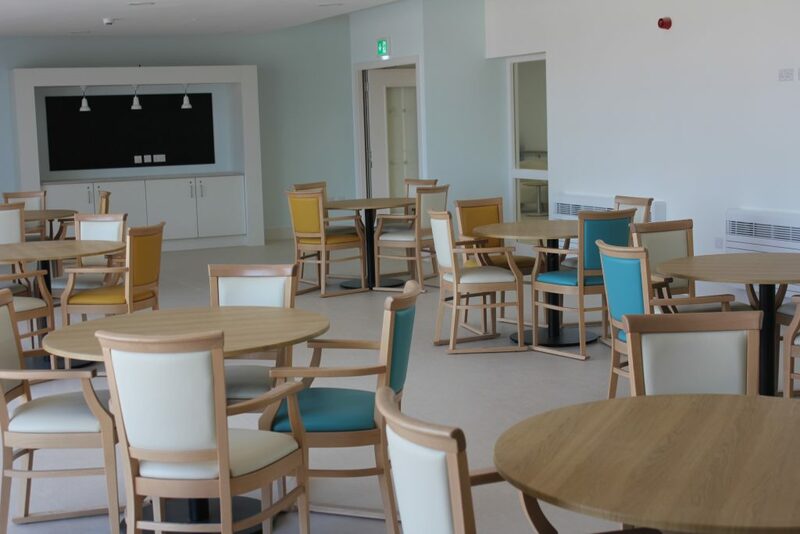 Hughes Furniture were tasked with supplying the bedroom furniture and dining tables and chairs with the emphasis on colour, design and functionality. 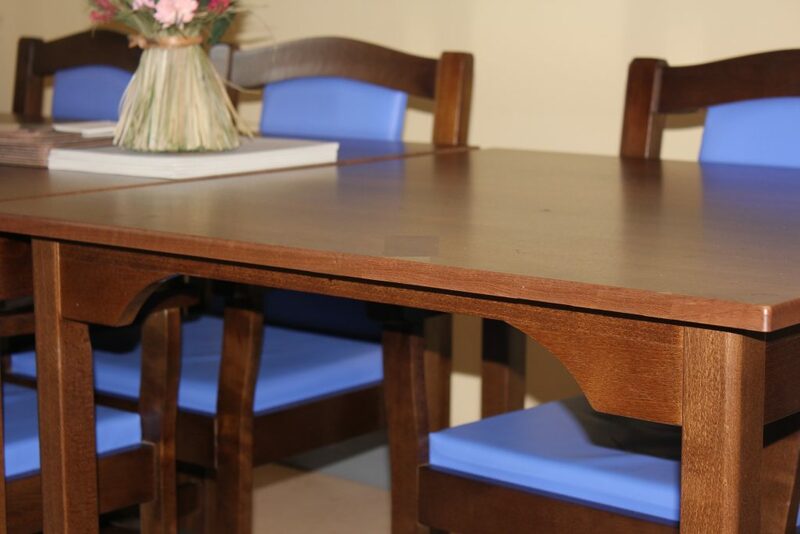 The dining tables were also finished in walnut colour with wheelchair access and a wipe clean & heat resistant top. The dining chairs were also finished in walnut coloured stain with arms and skids for ease of movement.by staff and covered in crib 5 contract standard vinyl which toned with the colour scheme of the home. 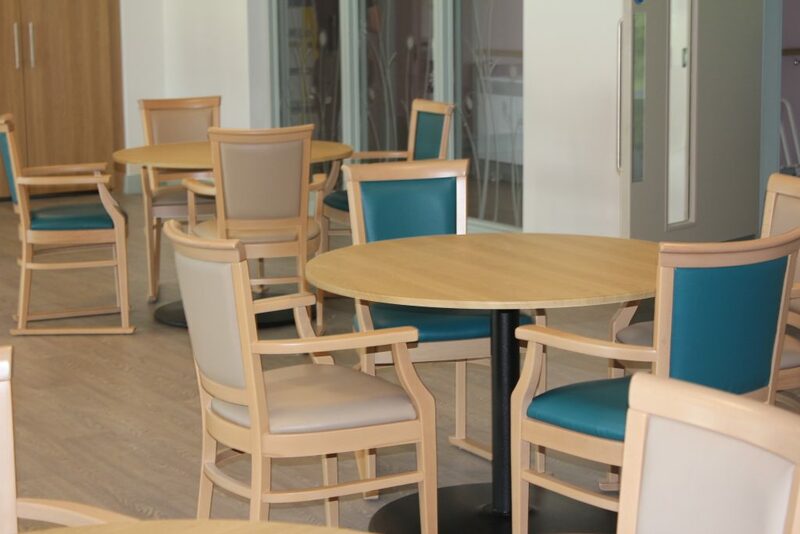 With good co-ordination between Hughes Furniture’s project management team and the Care Home management we were able to work together to deliver this project on time and to a very high-quality specification. 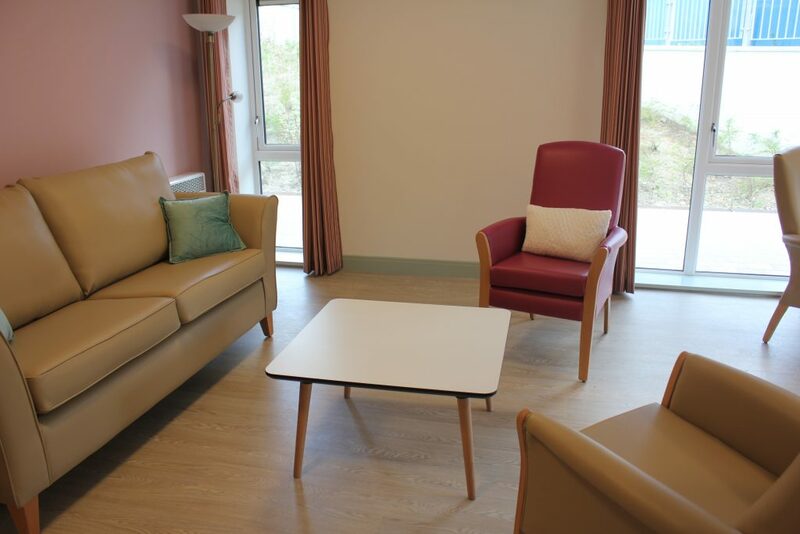 Hughes furniture were offered contracts by two separate construction companies to supply some 130 bedrooms of specialised and bespoke bedroom furniture to two new Care Homes being built for Maria Malliband Homes, one in Northern Ireland and one in England. 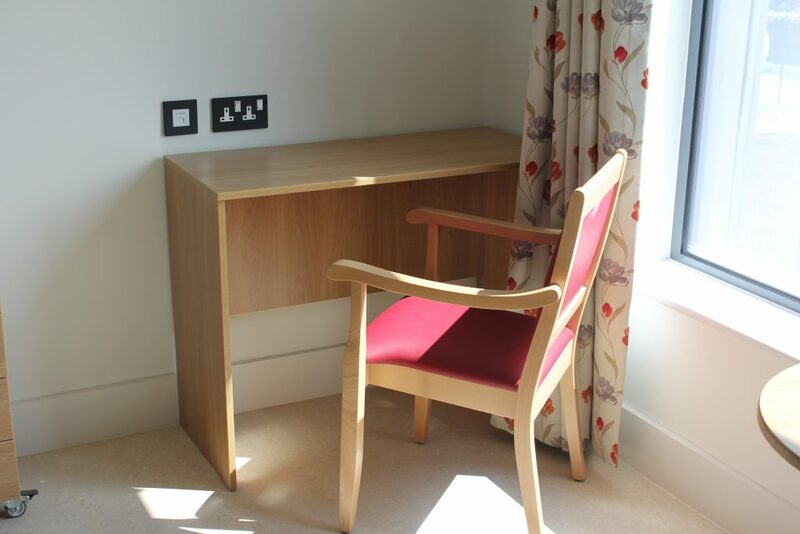 Maria Malliband had already got a bedroom furniture specification from previous “new builds” and Hughes Furniture was tasked with introducing some new design features, not previously used in Care Homes. 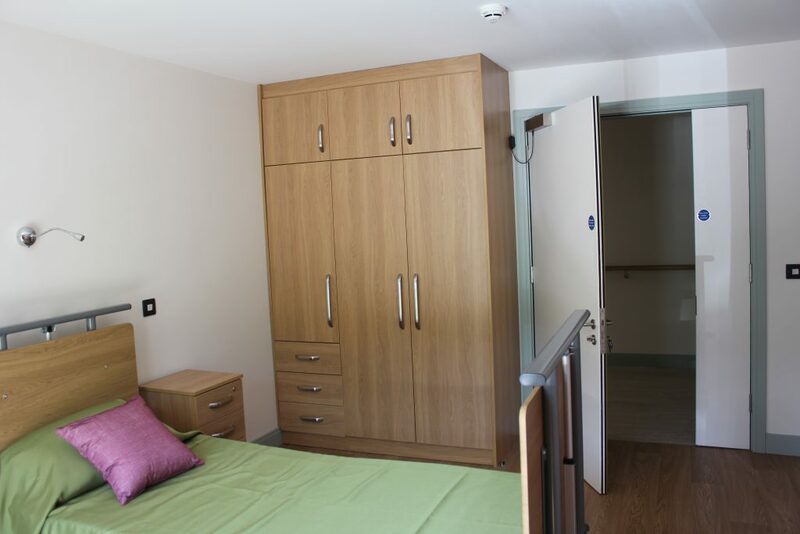 Half of the bedrooms were furnished with “scooped-out” drawer fronts and “next day’s clothes hanging” wardrobes for Dementia patients. The other 50% of rooms were in a similar design with full fascias. The wardrobes and desks were fitted to the wall and featured skirting board cut-outs for a clean edge. The main feature in each bedroom was a very large fully-fitted headboard with a padded centre to match the curtains and with cut-outs for switches and light fittings. Each side of the bed there was a locker with a locking drawer and a fridge unit with vents. 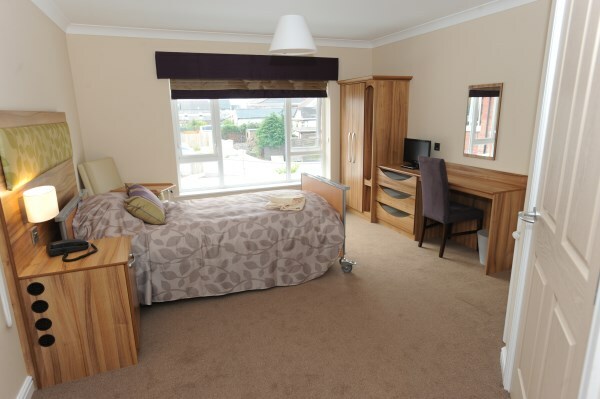 Again, each bedroom was fitted out by Hughes Furniture’s Fitting Team to a very high standard, delivered on time and achieving a fabulous hotel-type bedroom for the residents. Good co-operation between our Project Manager, the Interior Designer in London and the construction company to deliver the right result for everybody concerned. Hughes Furniture has been working with Brooklands for many years, furnishing new and refurbished homes with a design exclusive to the Conway Group. 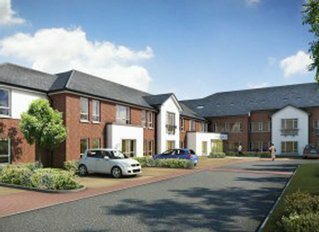 Working with the Directors and Management at Conway Group Healthcare to introduce a wonderful design which was to become a common theme throughout the Brooklands homes in Antrim, Kilkeel, Dunmurry & Magherafelt. This furniture range was in a two-tone ivory/light walnut combination finish incorporating a tall bedside with locking drawer, an oversized chest of drawers and a two-door wardrobe. The bed end panels were also replaced by ourselves to incorporate the walnut colour which gave the bedroom a superb upmarket feel and finish. 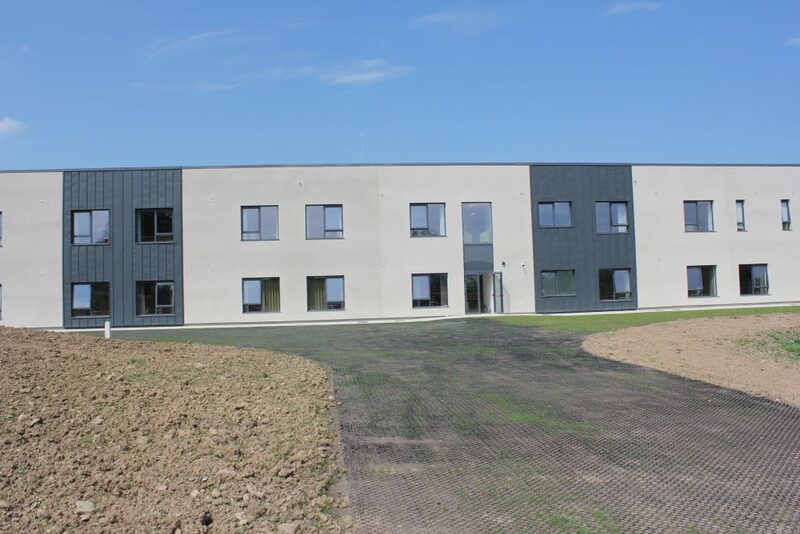 Brooklands new home in Antrim was the largest and first of these projects, was a brand new prestigious 65-bedroom Care Home beside Antrim Hospital.